"Manbearpig doesn't care who you are or what you've done. Manbearpig simply wants to get you!" Hello, my name is Karly and I'm 20 years old. I have a mischievous black lab retriever named Sammy and we like to nap lots. I like to bake and read and I spend way too much time on Facebook. I'm in love with my boyfriend, Alex, and we go on many adventures together. My hobbies include collecting vinyl toys, playing video games, and doing crosswords. Maybe one day I'll actually finish one. Hahaha. 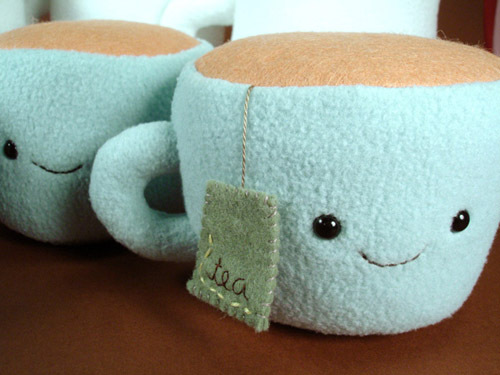 I love drinking tea - my favorite is earl gray. My weakness is Vietnamese food. I love the vermicelli bowls. So yummy! Pandas. I love them. They are my absolute favorite animal. They're adorable, yes? Of course you agree. Now get outta here. Thanks for stopping by! Login or register to add pandabrigade as your friend!